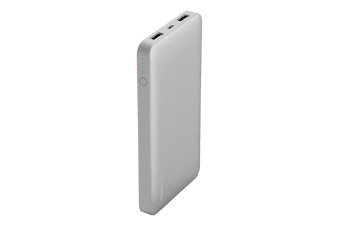 Stay charged anywhere with the Belkin Pocket Power 10000mAh Power Bank that fits in your pocket or bag. The 10,000mAh recharges your smartphone to provide enough power for an additional 70 hours of video playback. A universal USB-A 2.4A port delivers up to 5V to quickly and safely charge devices like smartwatches, fitness bands, headphones, speakers, action cameras and Bluetooth-enabled devices. 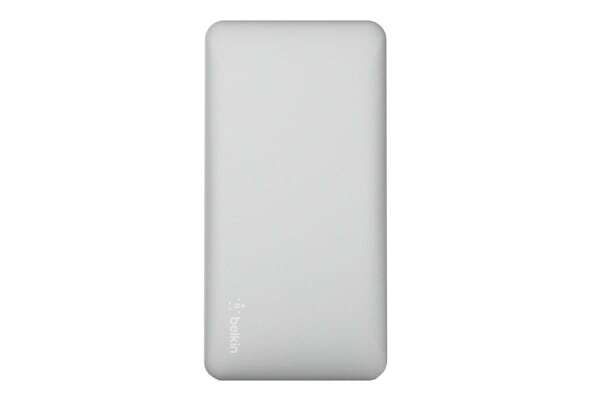 A 5V 2.0A input allows the power bank to recharge quickly between uses. Simply connect to a wall charger or other power supply using the Micro-USB cable provided to recharge your power bank. 2 USB ports allow you to charge up to 2 devices at the same time so all your devices are always ready to go. 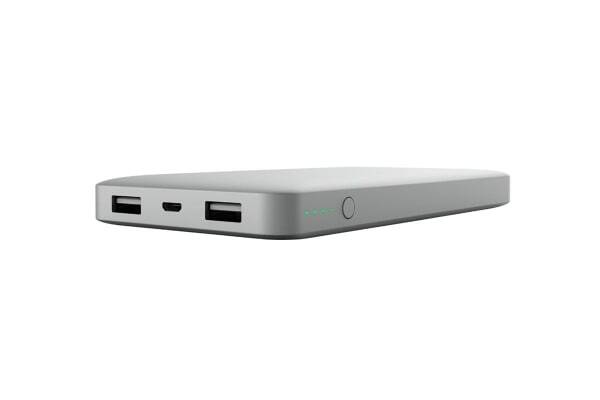 Belkin batteries include sensors monitoring heat, voltage and circuitry so the power bank will not overheat and harm your devices. Excess heat, voltage fluctuation or circuit abnormalities activate an override that shuts the battery down immediately for ultimate safety.